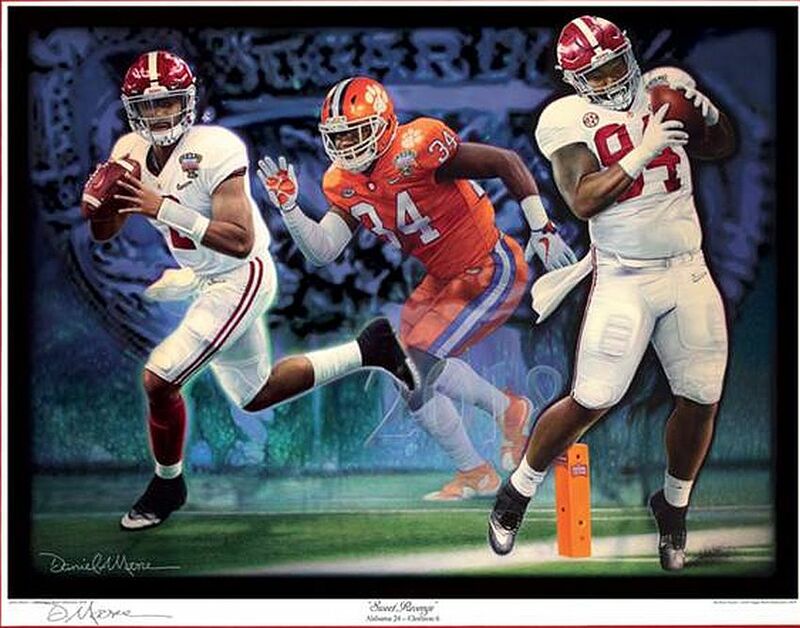 Home / Alabama Crimson Tide / Daniel Moore Limited Edition / Sweet Revenge Daniel Moore Limited Edition Fine Art Giclée Print BIG SALE!!!! Artist Daniel A. Moore has now finished his second full color oil painting commemorating Alabama’s thrilling 2017 National Championship season! Sweet Revenge depicts Jalen Hurts (#2) and Da’Ron Payne (#94) — the Offensive and Defensive Most Valuable Players of the 2018 Sugar Bowl. The artist has chosen to portray this third quarter touchdown pass from the Offensive MVP to the Defensive MVP — a combination never before seen in college football history! The win advanced the Tide to its 6th national title game appearance during the last 9 seasons. 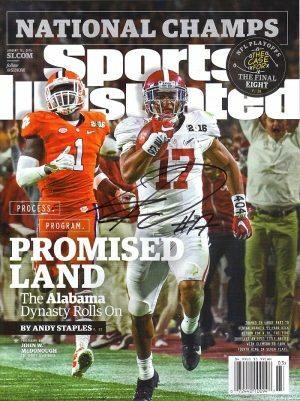 This exquisite masterwork of the Tide’s revenge victory against the Clemson Tigers is being offered as Limited Edition Fine Art Giclee Print. Each limited edition print is hand-signed and numbered by the artist. Each Giclée print will have an image size of approximately 19” x 26” (framed approx. 32″ x 37″). This print is finished and ready to deliver.